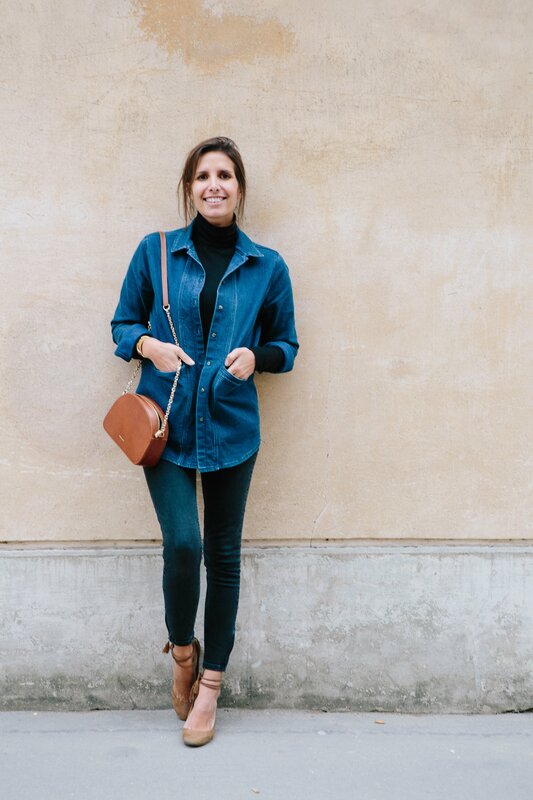 Morgane is wearing this jacket, these jeans, this bag and these strapped pumps. Morgane Sézalory: Our family moved to Paris when I was five. This is where I feel at home. Every time I come back from traveling, I find the city beautiful, small and calm. It’s perfect. 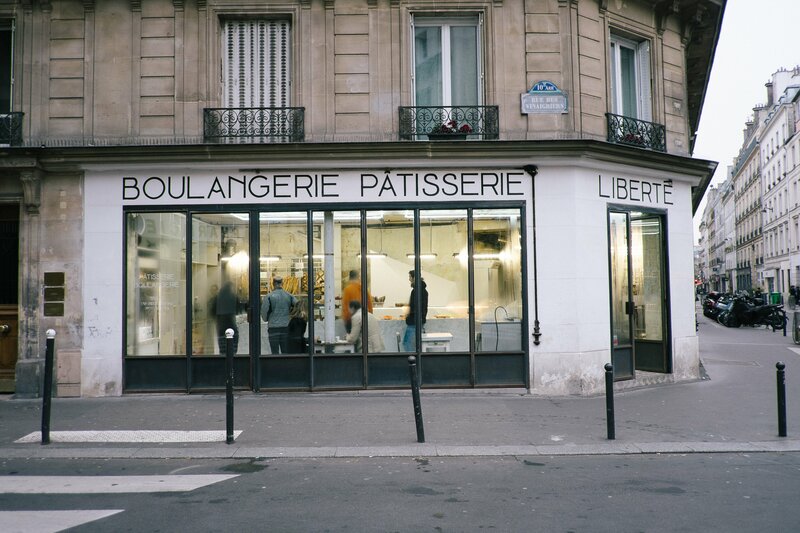 Liberté Patisserie Boulangerie is an industrial-style bakery with cement walls, fluorescent light pendants and vintage bread racks in the 10th arrondissement. There’s also an open laboratory, so you can see the magic behind their buttery croissants and chocolate chip madeleines. Chez Graff (7th arrondissement) is a Parisian cool bistro filled with locals. Take a seat at one of the wooden tables, and order sharable plates from the chalkboard menu. Make sure to save room for chocolate mousse! Reservations recommended, but not required. Septime in the 11th arrondissement serves modern French cuisine in a relaxed farmhouse-style room. The menu focuses on seasonal ingredients — like marinated asparagus with orange slices, or milk-fed veal with salty trout eggs. Book dinner reservations weeks in advance, or come in at lunchtime for a better chance of getting a table. 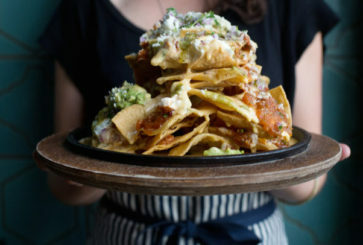 If you’re in the mood for seafood, check out Septime’s more casual sister restaurant, Clamato. L’As du Fallafel in the Marais has the best sandwiches. [Ed note: The New York Times calls it “the falafel destination in Paris, indeed in Europe.”] The falafel is crispy on the outside and moist on the inside. It’s served with creamy hummus, roasted eggplant and shredded cabbage inside soft pita — then drenched in a tahini sauce. Cash only. The bright Melbourne-inspired cafe Holybelly (10th), with music blasting, makes it worth taking a quick break from French food. We loved the fluffy scrambled eggs with two sides (options included pan-fried haloumi cheese and roasted garlic mushrooms) but they’re also famous for their bacon pancakes with homemade Bourbon butter. They’re open for breakfast and lunch, and be prepared for a short wait. Our favorite dinner was at Chez Janou on a quiet corner in the 3rd arrondissement. The friendly staff greets you with a smile, as you join locals ranging from lanky teenagers to older couples in thick sweaters. We loved the warm, glowing room, with vintage advertising posters hung crookedly on the walls. 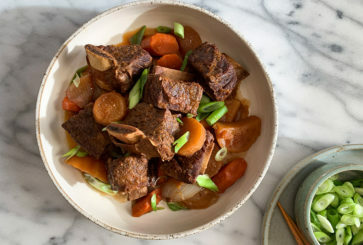 Enjoy classic dishes (think: French onion soup, scallop risotto and beef stew), and end your meal with a scoop of chocolate mousse from the huge communal bowl. 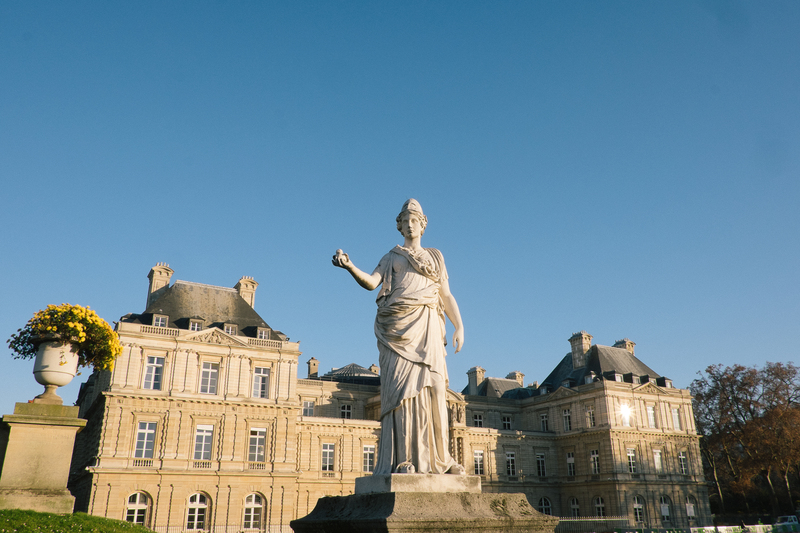 Musée Rodin in the 7th arrondissement is a stunning 18th-century mansion and sculpture garden dedicated to the works of Auguste Rodin. If you’re short on time, opt to see the gardens only, which house eight of Rodin’s pieces — including The Thinker — among rose bushes. Bonus: It’s half the ticket price. Take time to walk along the banks of the Seine, the river that flows through the heart of Paris. It borders 10 arrondissements, and it’s a nice way to see the city. If you’re hungry, have a picnic of cheese, bread and wine along the banks. 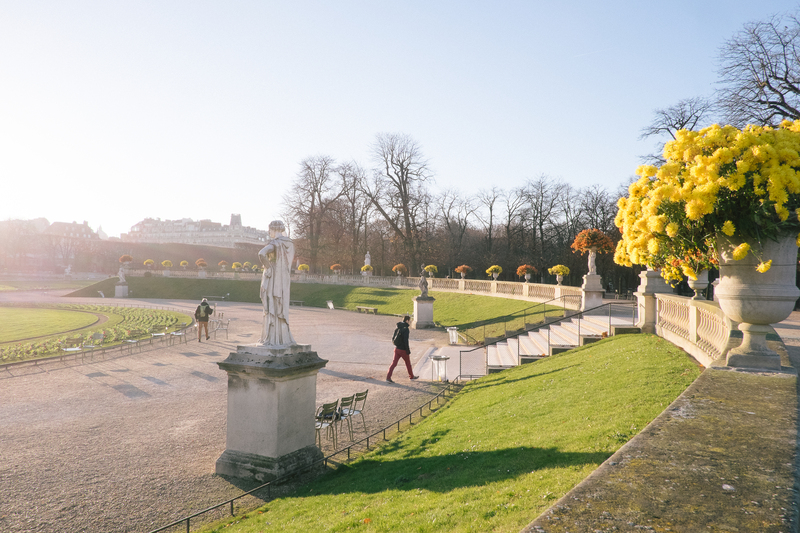 Walk through the beautiful Jardin du Luxembourg. Afterward, if you need a midday pick-me-up, stop by the nearby Bread & Roses in the 6th arrondissement. I’m crazy in love with their tarte provencale (a cheesy vegetable tart). If you’re with kids, explore the Grande Galerie de l’Evolution in the 5th arrondissement. It has more than 7,000 preserved animals in a glass-domed 19th-century hall. The sound effects are really clever! 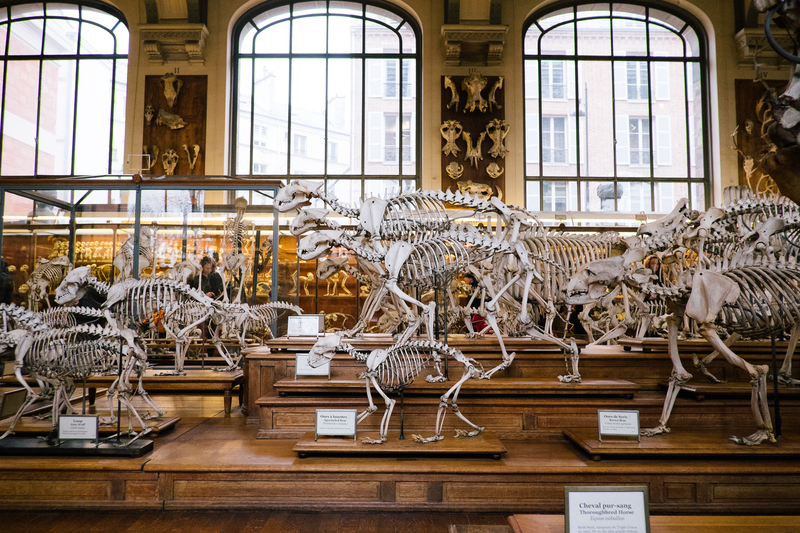 Also, the nearby Galerie de Paléontologie et d’Anatomie Comparée, also in the 5th, has more than 600 animal skeletons, including a rhino, a hedgehog and an enormous whale. Explore the Centre Georges Pompidou, in the 4th arrondissement. Ride the dizzying exterior escalators to see Europe’s largest collection of modern art — from Matisse to Andy Warhol. Rooftop admission is included in admission, so go upstairs to see a panoramic view of the city. The Musée d’Orsay (7th arrondissement, opposite the Tuileries Gardens) is housed in an old train station (built to greet visitors at the 1900 World’s Fair) and showcases paintings, sculptures, photography and architecture. You’ll find pieces by Monet, Degas, Renoir, Cézanne and Van Gogh. One evening, I took a winding bike ride along the Seine, in view of the sparkling Eiffel Tower, pinching myself the whole way. It’s easy to rent wheels through Paris’s shared bike system, Vélib’. Bike stations are all around the city; you just use a credit card to rent one, and then return it to any other station. Such a fun, freeing way to explore the city! Come visit L’Appartement Sézane! The brick-and-mortar store, in the 2nd arrondissement, lets you try on pretty pieces — like dresses, jeans and shoes — and place orders for delivery (free anywhere in the city in 48 hours). If you’d like to take something away immediately, stop by the neighboring La Librairie, our second physical shop dedicated to books, coffee and leather bags. If you’re craving Parisian chocolate, or if you need a gift to bring home, pop by À la Mère de Famille. This charming shop has multiple locations around the city. Try the assorted box to experience the chocolatier in all its glory, or stock up on their almond-paste recipe. 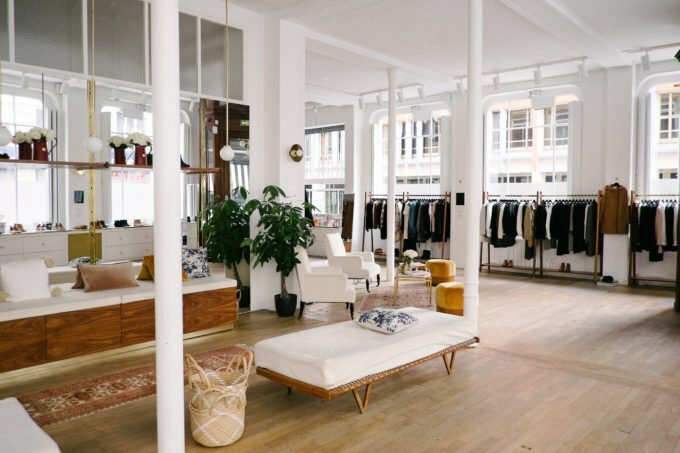 Merci, located in the heart of the Marais, is an eclectic design store. You can find things like blush-colored linen towels, tiny hoop earrings, and lamps made from recycled pickle jars. Afterward, enjoy an espresso in the café, with used French books lining the walls. Astier de Villatte in the 1st arrondissement is a wonderful housewares shop, known for its white glazed pottery and scented candles. (Their “Anchorage” version smells of citrus, magnolia, moss and musk.) You can also find John Derian decoupage plates and paperweights. Le Bon Marché in the 6th arrondissement was the very first department store in the world. In 1858, founders Aristide and Marguerite Boucicaut wanted to create the “kind of store that would thrill all the senses.” Here you’ll find high-end fashion, beauty, furniture and home accessories. Get lost on the four huge floors, and ride the iconic escalator. Deyrolle, a 186-year-old taxidermy shop in the 7th arrondissement, feels straight out of a Wes Anderson movie. There are two floors, but the top floor is the magical one — you’ll wind through beautiful animals, including polar bears, ostriches and colorful butterflies. Good to note: No animals were killed for the store; they came from zoos or parks, where they died of illness or old age. Hotel Thoumieux in the 7th arrondissement is run by beloved chef Jean François Piège. There’s a great restaurant and bakery, of course, and the rooms have amazing wallpaper! Hotel Particulier Montmartre is the best secret hotel. 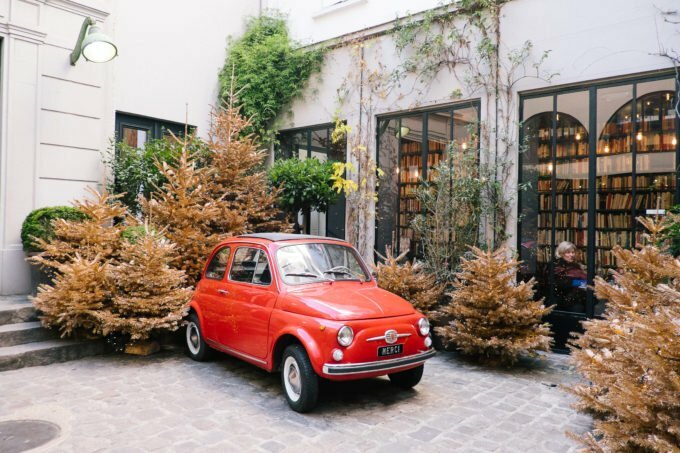 Tucked inside a little garden in Montmartre, the hotel is full of luxurious rooms and suites. 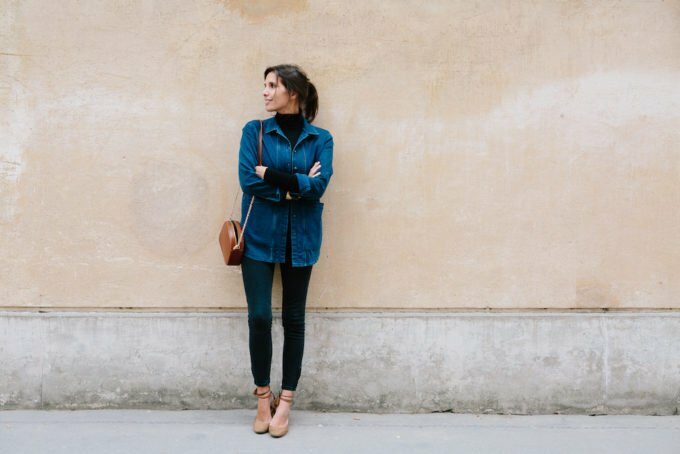 If you want to look like a local Parisian, stick to basics in neutral colors. Bring slim-fit jeans, a silk shirt, a thin sweater for layering, a silky dress for nice dinners and a classic messenger bag that is big enough to hold your gear, but small enough to tote around all day. Of course, a trench makes any outfit look chic (even on drizzly days). And don’t be afraid to wear sneakers! P.S. 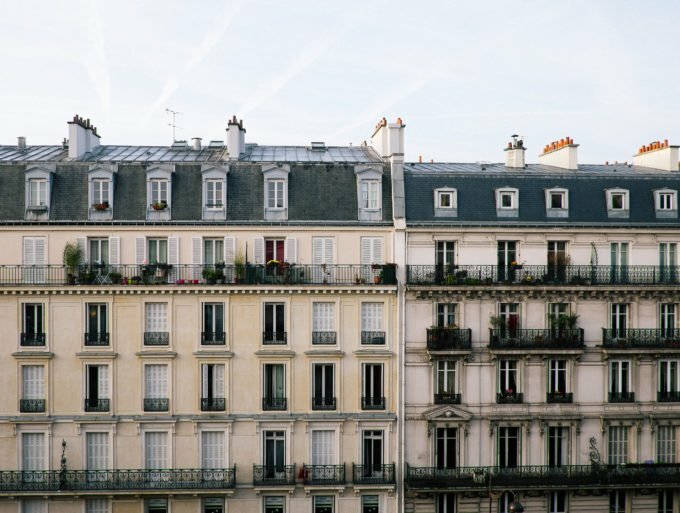 Morgane’s Paris apartment, and city guides for New Orleans, Seattle, Minneapolis, Nashville, Los Angeles and Austin. Paris can be such a beautiful place but I sadly still struggle with that city. I find that parts of France can be absolutely gorgeous and amazing (Brittany, Provence, Toulouse, etc…) but I dread landing in Paris itself. Might have to follow a few of those tips to remedy that next time! Great Paris tips, I love Merci too! Thanks for sharing. I love her shoes – would you please post a link where they can be brought and the brand? I’m getting married in France (planning the whole shebang from Memphis, TN with no pre-event visits) in September, and am so excited to explore Paris while we’re there!! I just went there for Christmas! So beautiful. If you like architecture, Ste Chappelle has the most beautiful stained glass windows I have ever seen. i’m loving the city guides, for the future :] how about one for Barcelona? we’ll be there in April for my mom’s 60th birthday and would love recommendations! Just in time! We leave for Paris on Sunday! Thank you! I’m going back to Paris this May. It’ll be the first time for my boyfriend and one of our friends. I’m so excited you shared this in a timely (for me) fashion! As always, the recommendations and photos are bright and beautiful! Thanks so much! I’m off to Paris in the morning so this is brill! Maybe I’m the minority here but I don’t care if I look like a tourist. I AM a tourist. Big deal. I think I dress just fine when I’m at home (rather, I think I have great taste! ), so why would it matter what I wear on vacation/abroad? I’m there for me, not any of the locals. Frankly, I think it’s fun when people ask if I’m visiting and where I’m from. Best way to meet new people from a new place. Beautiful images! This feels like the extravagant and somewhat touristy guide to Paris. There is nothing wrong with that of course, I was hoping for more of the cheaper hidden gems of Paris though. I suppose in a city that beautiful, just walking around and eating bread is pleasure enough. And that is no hidden secret! My favorite clothing brand, favorite city, favorite blog- the ultimate trifecta!! Ahhhh this is so timely – I was just in Paris last week for a long weekend with my three month-old baby girl! 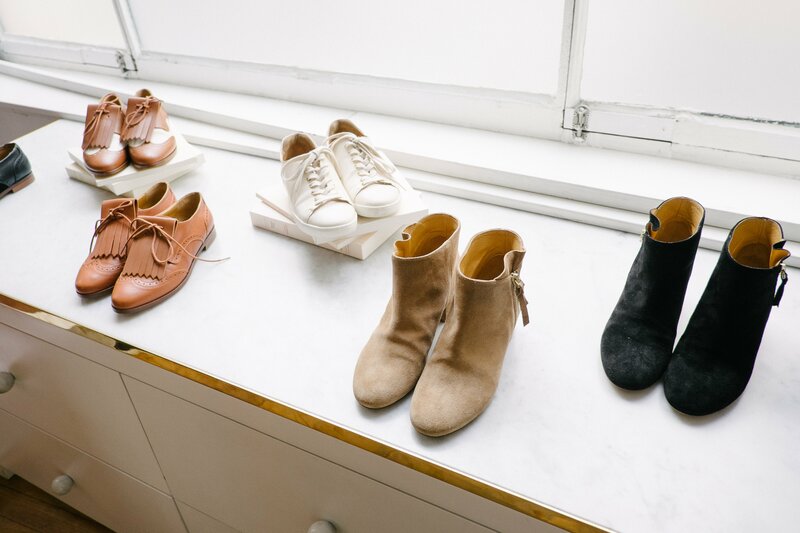 Unfortunately the Sezane brick and mortar locations were closed the days we were there – they were at the top of my must-visit list. I have to add that the Grande Epicerie (the gigantic food hall at Le Bon Marche) is an attraction unto itself. I always spend an hour or more marveling at the endless varieties of mustard and cheese and pots de creme and try to bring home as much as I possibly can! I will be in Paris in May with my baby girl, who will be one. Any suggestions for places to stay or things to do with a baby? Thanks! Thank you for the lovely guide. Paris is my favorite city. I will keep this in mind for my next Paris trip! We’re going to Paris for a babymoon in April and would obviously love to bring home a present or two for our new kiddo. Any recommendations for favorite children’s shops in Paris? We’re staying in St Germain des Pres. Centre Commercial kids off Republique has great clothes and toys for kids! If you are looking for toys, aim for shops like Le bonhomme de bois or Oxylbul (many adresses in Paris), which both have a good selection of well-curated educational toys (most of them without batteries!). Or even better: head to Vilac’s wooden toys original shop, in the Palais Royal gardens. A staple since 1911, and such a beautiful location! oops, sorry, that Oxybul and not Oxylbul! 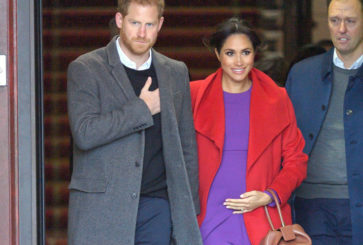 I would add iconic french clothing brand PETIT BATEAU : adorable and comfortable bodies, sleepsuits and sleeping bags – last forever! (shop in your area : 33 rue du Four – 75006 ;) and MONOPRIX’s newborn collection (52 rue de Rennes – 75006). Paris felt a bit lonely at times while traveling solo. Totally agree… but, still an amazing city and I made the best of it. It’s PARIS!!! Touristy but true, the Eiffel Tower was spectacular!! Paris is so intense and there are so much things to see. Even if I live here (12 years already!) I still discover new places everyday! I will add to this list: have a walk along the Canal de l’Ourcq, up to the Parc de la Villette (especially in the summer nights, when everybody has a picnic along the canal) and go see a symphonic concert at the Philharmonie de Paris (this is where I work – lucky me hey? ;) ). That’s what my friends love the most when they come visit! Thank you for the shopping tips! When I went for my honeymoon I ended up in stores that had the same stuff as in the US, which was a disappointment. Wish I had this list when I went! My husband and I stayed at the Hotel l’ Abbaye in Saint Germaine and absolutely loved it. ARGHH! I’ve been waiting for this post, hoping/expecting that it would include a discount offer, as your sponsored posts often do. Everything at Sezane is lovely but also pricey, and I really need a pair of low boots and a few pairs of shoes, so it seemed prudent to wait and see. But while I waited, I missed my chance to get a green Folk bag . . . they sold out of that gorgeous color several days ago. Will they ever make that style in new colors, do you think? I’ve been to Paris more times than I can count, often on very short trips while my husband is there for business. To get my fill of the city, I often walk as much as 12 miles a day, so I recommend bringing a few pairs of chic walking shoes. I try to take a break and switch to a fresh pair of boots at my hotel in the middle of my day. I like to eat my way from one patisserie to another, maybe comparing a few different pistachio eclairs, or pains chocolat-amande . . . or I try a few flavors of crepes from the street vendors. I have often explored Paris all day with Nutella on my face. But with all the walking, I never gain a pound. I always stop at a pharmacy. I buy lots of elegant, crystal-clear plastic toothbrushes, for example, a souvenir I use every day. I’ve also gotten some bizarre-tasting cold remedies that are not sold in the US, but work. And there are all sorts of wonders to be found in the small supermarkets that you find here and there. Stock up on chocolate and cookies or get everything you need for a picnic lunch. Just bring your own grocery bag. I disagree with the dress like a local advice and I find the never ending How to Dress Like a French Girl or French Girl Beauty Secrets articles so irritating. They’re usually more in line with how to pack for a trip with a carry-on suitcase. I went to grad school in France and the girls I studied with wore more exciting things than basics. For every pair of black skinny jeans there is a brightly patterned wrap dress with a full skirt. You see ripped tights under cutoffs, leggings with Ugg boots (swear to God, I saw more Uggs there than in the US), overalls, pastel wide leg pants that brush the ground, and brightly colored maxi dresses. Every French girl has their own style and boiling it down to dress in solid colors and slim silhouettes is incredibly reductive. You see women who wear that kind of outfit everywhere. Wear what you wear at home, but keep in mind that they are a bit more formal, so if you wear a lot of gym clothes you should maybe swap the college t-shirt for a solid color or trade your rubber flip flops for leather sandals. The only truth I ever read in these kinds of articles is that you never see Instagram makeup. To be fair, they were not advising readers on how to dress like a French girl, which is an art, but how NOT to look like tourist by blending in with the basic overall look, which is pretty much what they described, although if you add a scarf and maybe a bun or ponytail, Americans will ask you for directions. The best way to blend in, I’ve found, is not to walk around with a delighted smile on one’s face at all times. Nothing says “tourist” more than that. 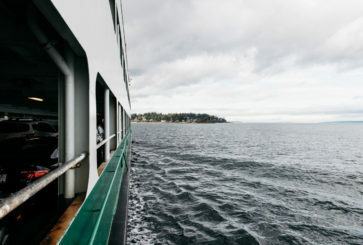 Try to look serious or thoughtful, and use your camera discreetly, and you may actually feel less like a tourist, too. I have seen a lot of flip flops in Paris, but they were usually quite pretty ones, just as their sneakers are more like vintage Plimsoles and not American athletic shoes. I miss Paris, my fiancee and I had the best time when we went. Definitely my dream trip! 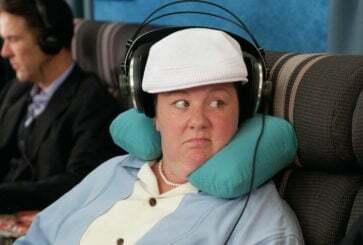 I have been best friends with two lovely ladies for about 20 years, and our lives have been all over the place that we haven’t been able to plan a solid trip together. Well, we’re finally getting together this summer and I think we deserve a little getaway to Paris. I’m saving this post! 1. Eat: West Country Girl, for breton-style crepes in the hands-down coolest restaurant I’ve ever been to (like, French cool, not trendy cool). 2. Stay: in a non-touristy arrondissment! We got an air bnb in the 10th, which was full of great food but no real attractions. We were close enough to walk to everything we wanted to see, but restaurants and bars near us were full of young french people, which we loved. 3. Do: a concert! My husband bought us tickets to see one of his favorite bands, Lambchop, and it was so fun and cool to do something we’d have done at home, but in France! 4. Visit: Pere la Chaise cemetery. I couldn’t believe this was my favorite thing to see in all of Paris, but I loved it and we ended up walking around for 3 hours. So beautiful, and cemeteries are such a great way to learn a different perspective on a city’s history. 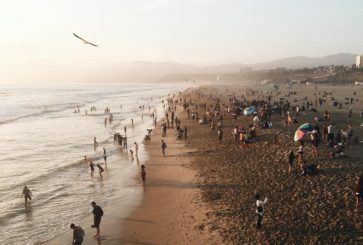 This post made me so nostalgic for my parisian honeymoon– I wish I could have visited some of these places!! 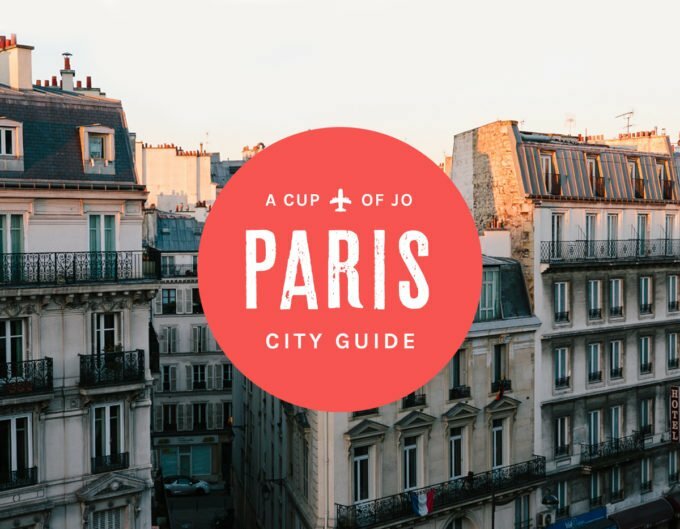 I love Paris, I love Sezane, I love this guide…except one part. I am honestly over being told how to dress like a “local Parisian”. I see this across many blogs and the uniform is roughly the same as the one described here. I get that this is a sponsored post. But when you truly consider how diverse Paris and its locals’ style is, after a while this uniform starts to come off as obnoxious…as if to say, if you don’t dress the part of a [white, tall, and skinny] Parisian woman or look like Emmanuelle Alt, you’re somehow inviting scorn. Also I did not notice anyone wearing trench coats except for much older women (60+) and blonde American girls wearing J. Crew head to toe. I don’t think that Morgane is saying that you would invite scorn if you wore something else. You can wear whatever you choose in a big city. But I do think, don’t you, that the majority of Paris women wear this look (neutral colors, slim-fit jeans, blouses…) I’ve been to Paris a number of times for work and pleasure, and every trip I take, I notice again how similarly all the women are dressed! Im done with what to wear not to look like a tourist also. Seriously, when my husband and I were in Paris, like 10 years ago, we dressed exactly like we do at home and were fine. I wear a lot of black and he wears jeans with a jacket. Its Paris, if you dressed the same or like Frenchies, they likely would be pissed! Break out of the idea you cant dress like yourself. So it’s subjective. If we look like visitors, no one will die. One of the joys of travel is that you’re focusing externally. 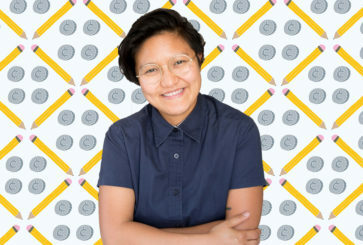 to sarah kang : no, the majority of paris women don’t wear neutral colors and a trench. This is, if you go outside the 6th arrondissement. Paris is a diverse city, not a postcard cliché. I adore both Morganne and Paris. Ive been twice, once in college and once last year with spouse. I look forward to visiting again. I loved jardin de Luxembourg, I sat in the sun and read a new book from Shakespeare and co. It was lovely. I also loved collecting cheese, bread, etc and eating along the Seine. My other favorite spot was the palaise Royale garden. Magical. Please do a beauty uniform on Morganne too!!! I’m usually such a big fan of the site, but this guide left me feeling like it was all a little…obvious. These types of insider guides often offer tidbits that only locals know about, but this one focuses on the places almost every tourist would go–the major museums, best-known restaurants, most famous shops… I hope next time there’s a little more focus on off-the-beaten-track locales. I went to Paris with my family as a kid, and one of the experiences from that trip that sticks with me to this day was the afternoon we spent in the dusty, narrow used-bookstore Shakespeare & Co. I remember the old man who owned it handing me a battered C.S. Lewis book, which I took to one of the moth-eaten sofas in a dark corner, and read for hours. I heard that the store unfortunately closed or changed owners a couple years ago when the original owner passed away… :( To me that store was really a defining landmark of Paris. Oh that is SO good to hear, Brandie! Thank you! Can’t wait to hopefully get back there someday. Yes to that messenger bag. I’ve been going mad looking for a cognac bag with silver hardware that isn’t impossibly expensive. Actually, it is silver right? I loved this post and am tucking it away for a date in the (I hope) not-too-distant future when my children are not 2 and 3 years old! I had a very good laugh at the translated version of the Hotel Particulier website. Maybe something was lost in translation (or maybe the hotel is, indeed, particular), but the most deluxe suite is called the “Curtain of Hair.” Ha! When I studied abroad in Paris in college, I lived in the Marais and spent a lot of Euros at l’As du Falafel! I highly recommend the Musee de l’Orangerie, a museum near the Tuileries that features huge panels of Monet’s paintings on curved walls that just wrap around you. Place des Vosges was near my apartment and I would hang out there with a pastry and a book, listening to kids playing with their parents. After finishing my grad school degree, my mom and stepdad gifted me a trip along with them back to Paris, where we always stay with my mom’s oldest friend, and where my stepdad often had business trips at the time, and my mom and I took a cooking class, which was a lot of fun. We learned how to make chocolates, and on another trip she and my stepdad went back and learned how to make croissants from scratch. I can’t remember the name of the place but just search cooking classes if you’re interested, it wasn’t too expensive and we now make croissants every Christmas! To eat: one of my favorites to order in French cafes is the salad au chevre chaud, which is a salad lightly dressed in oil and vinegar, with a hunk of warm goat cheese and bread on top. Pair it with a glass of dry white wine and you’re in heaven. Another vacation dinner we’ll do when we’ve been walking around all day is to stop at a fromagerie and pick up several types of cheese, then a few baguettes (pay a little more for the “tradition” type which is made by hand), and some wine, fruit, meat and pickles, and just gorge on that spread until we can’t take another bite. 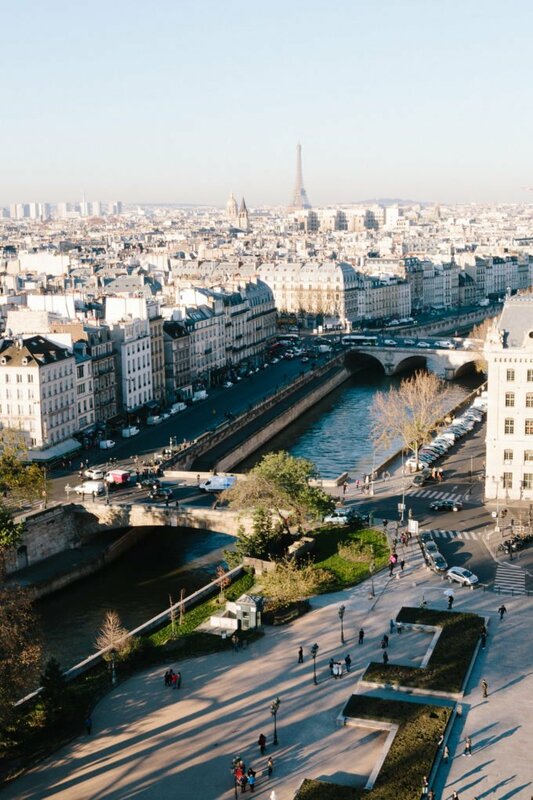 In general, just follow David Lebovitz’s advice on all things Parisian! The famous food places are good but not necessarily worth waiting in line for – Laduree, Berthillon, Mariage Freres, etc.. Walk around a farmers market, do the bateau mouche even though it’s touristy (if the weather is nice), walk along the Seine and just soak it in! Bethillon is worth it, even if the original location has a long line. So happy to see that Berthillon ice cream is served in many establishments in Paris. Yesx to the bateau, that was a highlight when we were worn out with walking. The crew were all from Croatia and had restaurant tips galore. Yes to the bateau, that was a highlight when we were worn out with walking. The crew were all from Croatia and had restaurant tips galore. My husband and I went to the French Open last year (we’re the ones who are friends with Stan Smith–his shoes EVERYWHERE!) and we did two bike tours with Fat Tire. One during the day and one at night finishing on a cruise on the river and ending at the Eiffel Tower. Riding bikes made us feel like locals (except for the neon vests!) and it was so much fun! Don’t forget Notre Dame Cathedral and climbing to the top of the Arch for a spectacular view. Thanks for the great guide! Saving this for later & can’t wait to re-visit it ? Jo, if you do a city guide for Rome, you should ask Katie Parla! I studied abroad there and her blog was my go to for great food and cocktails. 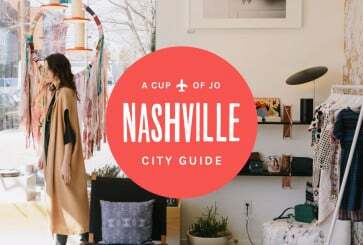 Would love to keep seeing city guides, especially for destinations I want to visit! If you are lucky to find a French fireman, ask him for directions. My sister and I did this and the most adorable young man got out his map and carefully explained in English how to get where we were going. We were melting from his wavy hair, beautiful face, cute accent, kind help! Oh and say Bon Jour before you ask for anything anywhere, its just polite! SO funny you mention this, the firemen are a thing, even among natives. They are, indeed, strong, handsome, and polite. I loved Musée d’Orsay but my husband wasn’t as impressed as I was. I’d love to go see it again. Could you do a City Guide for Rome? That would be so great! Yes, please, and soon? I will be visiting Rome in May, and would love a guide! I would add to visit Musée d’Art Moderne de la Ville de Paris. It’s one of my favorite museums in Paris. Oh my gosh, I have tears in my eyes. Liberte Patisserie was right across the street from the apartment where I got engaged! My now-husband and I would go that bakery every other morning (in between we went across the Canal St Martin to Ten Belles) and besides the croissants being the absolute best I’ve ever tasted, the staff was beyond friendly. They even humored my remedial attempts at speaking French. I am dying to go back. Paris was my first European city. In my mind, it feels like a second home although I’ve never gone back. I’m always torn between returning to an old friend or seeking new adventures. I’ll be in the Netherlands and Belgium in April and I think I’ll be so tempted to hop on a train to Paris! I haven’t been to Paris, but I feel the same way about multiple European cities I’ve been lucky to visit! I think about how much I’d love to go back, but then about how many other amazing places are out there that I’d like to see! When will Sezane bring back the Nola bag? they said unfortunately they don’t have a plan to put the bag back in stock at the moment. thank you! you might try one of these? Ooo, what about the Pola bag?! I’m dying to get one. I second this request! I have been tracking the Sezane new releases ever since the Nola sold out praying it will be released again (ideally in the black/navy leather combo). Sezane: If you’re reading this, at least two American consumers are begging you to release it again. When I was a teenager I used to babysit the babies of our next-door neighbors. In my eyes, they were ‘the cool-kind of parents’, and I wished my parents were more like them (for the record: I now know my parents are the coolest!). They were always very open and direct and one day they told me they recently had had a big fight and that ‘the dad’ got so angry he got in his car, drove to Paris, had a cup of coffee on a sidewalk terrace and drove straight back; to the center of The Netherlands (which is a 4,5-hour drive from Paris). I’ll visit Paris for the first time in May, I’m so excited! Btw, the photo with the skeleton is actually the Galerie de Paléontologie et d’Anatomie Comparée – so fun and with a “Cabinet de curiosités” spirit that give you chills. The Grande Galerie de l’Evolution is much more modern but indeed awesome for kids ! Wander around Chateau Rouge (18eme) and shop for African wax fabric — if you have a few days to wait, you can pop into one of the small storefronts and have something, like a simple pencil skirt, tailor-made. Grab a coffee at Cafe Lomi while you’re there! If you have kids or need a baby gift, go shopping at Monoprix — it’s not expensive and it’s adorable, especially the baby outfits. You can find the stores all throughout Paris. Get a cocktail at Gocce, a fabulous bar at the back of the restaurant Professore (9eme). The bartender made my Manhattan with homemade bitters, lit it on fire, and it was delicious! Visit Buly 1803 (6eme) to lecher les vitrines — beautiful soaps and lotions and potions. Pop into Le Petit Duc (7eme) for some Provencal nougat to take home to friends and family, who will thank you forever. My favorite department store is BHV in the Marais — floors of awesomeness. Africa is an entire continent. It diminishes our distinct cultures, experiences and locales when editorial allows someone to blanket their experience in those words. I live in Namibia, was born in Angola and spent a few years of my childhood in Zambia. If I were to say “I grew up in [insert continent]” in an interview, I would hope more detail would be requested by the interviewer. That said – I love your blog! Thanks for the amazing city guide. thank you so much, mutaleni. I agree; it’s sadly a common mistake though and I think it’s perpetuated by the fact that African history is rarely discussed in school. Thus it becomes hard for people to differentiate parts of the continent… because they weren’t really educated on the different parts in the first place. I also think it’s difficult because the countries in Africa are not very unified. Meaning, there’s lots of ethnic groups within a country that don’t really feel as though they are a part of one nation. Thank you COJ for fixing it though! I was in Paris for the first time last July. I didn’t warm to the city but I adored my visit to Sezane! I live in New Zealand and have been an online customer for a few years. I bought the most stunning shoulder bag in red with a gold chain from her store. I wear it all the time. Just in time! I’m off to Paris next week. Thank you! Hi! We love Paris. One of our favourite things last time we went there with our son was visiting the Jardin d’acclimatation. It’s a very retro amusement park where all the Parisian kids go, really charming and it’s a perfect day out with kids! We also loved The Smiths Bakery at Rue de Buci, really friendly staff and delicious icecreams and sandwiches. Au revoir ! If you want to go off the beaten tracks, go to the Puces de Saint-Ouin (antique market), have a picnic at the Buttes Chaumont, tour the Père Lachaise cemetery. Le bassin de la Villette is also really nice with cafés. La rue de Turenne has a lot of great coffee places and boutiques. BEST coffee in Paris is off the American Embassy near Trocadero: Honor Cafe. The only place in Paris where you’ll find good coffee, to imho. Off République you’ll find a lot of bobo (bourgeois bohèmes) stores, Centre Commercial for instance. If you’re into ethnic clothing, I suggest swinging by Le Dressing de Zankara or Rock the Kilim. Mama Shelter is a nice hotel too. Their beds are the best! 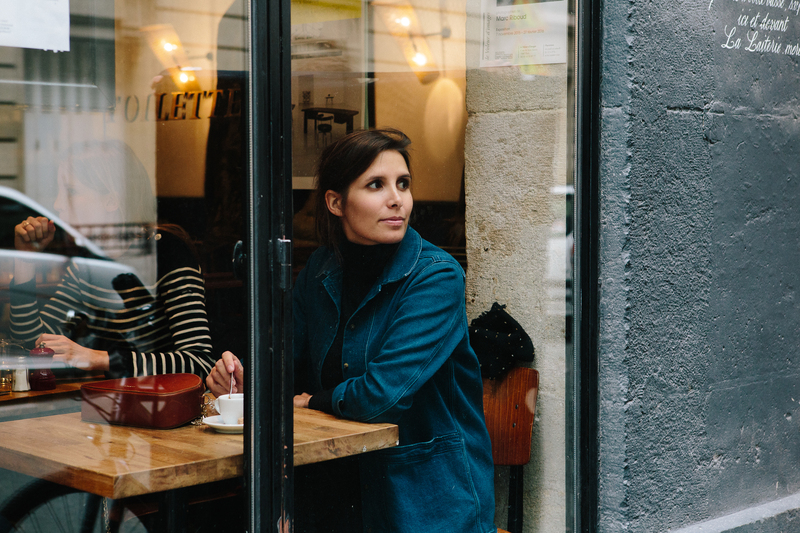 Have a look at fere.fr, a Paris-based blogger who shares restaurant and boutique tips. She also designed a line of cool prints and tees with Parisian neighborhoods. Just booked my next trip yesterday! Yay! Thanks for these very helpful prompts!!! This is absolutely amazing!! My husband and I will be going to Paris for our honeymoon in May, and this is just what we needed. ahhhh, paris. i miss it so badly! what a dream putting this post together must have been! Thanks for some great tips! 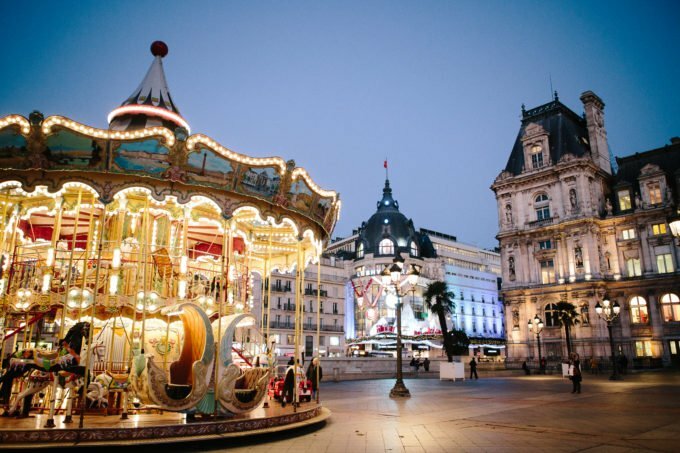 Would be great to include more things to do with kids in your city tours :) My personal favorites to do with Kids in Paris: ride ponies and carousel in Parc Monceau, the Jardin d’acclimatation which is a mini amusement park and a classic Parisian kids hang out, and go visit a Medieval Castle right outside the city (in Vincenne)! Do those strapped pumps run narrow? i think they run true to size. i have wide size-10 feet and find their shoes to be really comfortable! Would also add the anthropological museum (Musee Quai Branly) is fascinating and well worth a visit. Paris museums are so sensitively and intelligently curated. Also, a coffee on the terrace of the Musee d’Art Moderne de la Ville de Paris, facing the Seine, is a lovely and inexpensive treat on a sunny morning. I also recommend the Musee Gustave Moreau, in the 19th. It is a hidden gem. Moreau lived and worked in the building, and its a treasure house of his eerie paintings, sketches and objets, with a fantastic atmosphere. Feel free to check out my guide to Paris, which includes tips on transportation, a lesser known but amazingly creative museum, and our favorite guided tour! A few years ago, my husband and I rented an apartment in Paris. We took in many museums, churches, restaurants. There is beauty everywhere you look. Would love to go back! I would decline the sneakers and opt for some really comfortable ballet flats, though. Ahhhh, Paris! Just got back from Paris 3 days ago, this makes me want to go back already. Even in the cold, foggy weather Paris is still one of the most beautiful cities in the world. I finally splurged on a sweater from Sezane. Totally worth it! 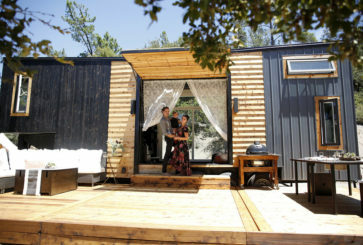 Loved the Paris tips, too but the South of France is much more magical in my opinion. I’m also partial to the South of France, to the extent that I moved here. Paris is wonderful and romantic but it’s also a big city with big city hassles and city slickness. Which are OK, but if you want authenticity, head out to smaller towns and villages. Oh, please do a beauty uniform with Morgane! That can complete the trifecta. :) This was so lovely–makes me want to go to Paris immediately. These tips are wonderful! I was lucky enough to spend two weeks in Paris last year- I rented the cutest little apartment in the Marais and spent my time museum-hopping, shopping and strolling around the city, soaking up so much of this gorgeous place. For anyone considering it, I can whole-heartedly recommend a solo trip to Paris- it is quite possibly the perfect city for a woman travelling alone. Wow. She’s beautiful. And I love the insight to the city….thanks! Cheers. This makes me want to go to Paris.